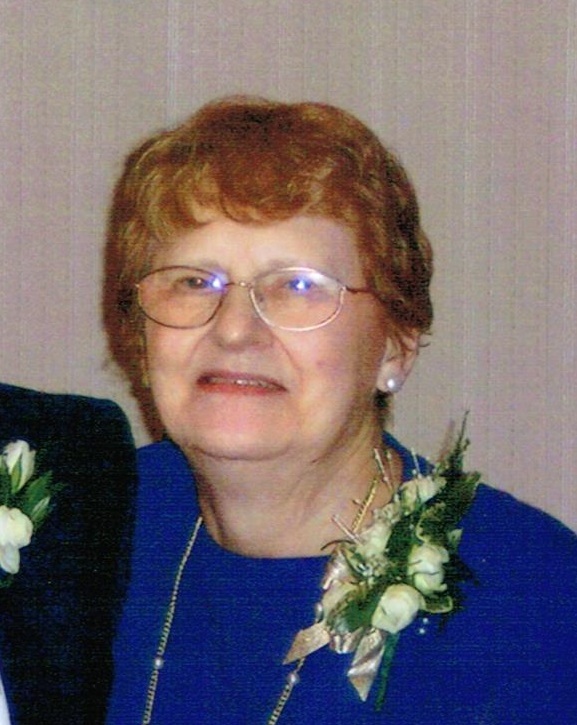 Rosella "Rosie" Mae Murray (Jasnoch) was born September 24, 1933 in Farwell, NE to Martin and Rose Jasnoch. She was raised in North Platte, NE and received her education at St. Patrick Catholic School. Rosie was united in marriage to William "Bill" Murray on February 4, 1956 in North Platte, NE. The couple also made homes in Lincoln and Omaha, NE prior to moving to Sioux Falls, SD in 1970 with their seven children. Rosie was a devoted wife, mother, and homemaker. In 1971 she began a twenty-five year career as a waitress at the airport Holiday Inn. Family and faith were the priorities of her life; she found great joy in cooking Sunday dinners for her children and grandchildren. She was also a member of the St. Joseph Cathedral Parish. Rosie was a loving daughter, sister, wife, mother, grandmother, great grandmother, aunt, and friend who will be deeply missed. Grateful for sharing her life are her husband: William Murray of Sioux Falls; her children: Therese (Jim) Berg of Sioux Falls, Katie (Paul) Dylla of Olathe, KS, Robert Murray of Sioux Falls, Mary (Bryan) Anson of Watertown, SD, Janelle (Doug) Kott of Iowa Falls, IA, Chris Murray of Sioux Falls; grandchildren: Jared (Amanda) Berg, Jon (Abbi) Berg, and Jackson Dylla; great-grandchildren: Asher and Jonah Berg; sisters: Jean Waltemath and Sharon Jasnoch; sister-in-law: Pat Saylor; as well as many nieces, nephews, and friends. Rosie is preceded in death by her son William Murray; parents: Martin and Rose Jasnoch, and William and Nellie Murray; sisters: Dorthy Curtis,replique rolex Florence Milroy, and Annabelle Schultz. Visitation will be Monday, 5 PM at Barnett-Lewis Funeral Home with a Scripture Vigil and Rosary at 6:30. Mass of Christian Burial will be Tuesday, 10:30 AM at the Cathedral of St. Joseph.